Hera BjГ¶rk ГћГіrhallsdГіttir, born in Iceland 29. of march 1972, is a well-known singer in her homeland. Her debut album, Ilmur af JГіlum, was released in November 2000 and received very good reviews. 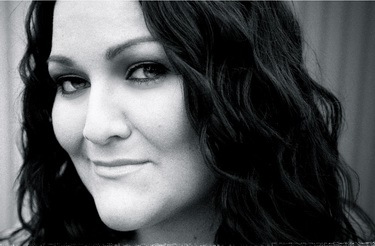 Hera BjГ¶rk has a voice with big range and sings classical, jazz, pop, rock and r&b . 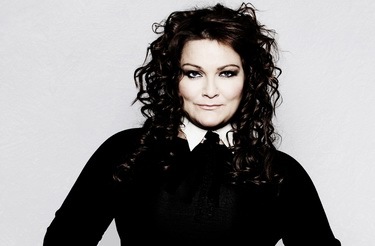 In 1995 she sang in The Rocky horror Picture Show and since then has taken part in several musicals in Iceland. In 1999-2000 she was the hostess on a very popular television show вЂњStutt Г­ SpunannвЂќ, which aired on Saturday nights on RГљV, the National TVstation in Iceland. From 1996-2004 Hera BjГ¶rk sang in the Chamber Choir Schola Cantorum in HallgrГ­mskirkja, Reykjavik. Schola Cantorum has won rewards in international competitions and has released 3 albums, one of which was nominated to The Icelandic Music Awards as the Classic Album of the Year 2002. Through the years Hera BjГ¶rk has been working with many well-known Icelandic musicians on their projects like вЂњГ“Г°in's Raven MagicвЂќ with SIGURRГ“S and BJГ–RKВґs latest album вЂњMedГєllaвЂќ. In 2000 Hera BjГ¶rk moved to Akureyri in the north of Iceland. There she studied Business and Marketing at the University of Akureyri. On weekends she flew to ReykjavГ­k to perform at the City Theatre and sing with her pop group вЂњ17VГ©larвЂќ at clubs. In 2004 Hera BjГ¶rk met Cathrine Sadolin, a Danish entrepreneur in Complete Vocal Technique. She immediately fell for the technique and started taking lessons from Cathrine. She moved to Copenhagen and studied at the Complete Vocal Institute from January 2005 until June 2008. While studying she was teaching and singing in Iceland and Denmark. 2007 and 2008 Hera BjГ¶rk was a part of the project "Frostroses - The Icelandic Divas". Along with other known Icelandic singers she performed on Chrismas concerts all over Iceland, finishing in ReykajvГ­k with A Grand Concert. All the events were sold out. Hera BjГ¶rk has been teaching at CVT for the past 3 years in Iceland and is now working all over Europe for CVI doing master-classes and introducing CVT to singers. Currently Hera BjГ¶rk is living in Copenhagen, Denmark and is working as a singer and vocal coach all around Europe. Hera BjГ¶rk took part in Icelandic preselection 2007 and Danish Eurovision preselection 2009, where she finished 2nd. She also was backing vocalist for Iceland's Eurovision entries in 2008 and 2009. Backing vocalists: Erna HrГ¶nn, HeiГ°a Г“lafs, PГ©tur Г–rn & KristjГЎn GГ­sla. Listen to the song "Je Ne Said Quoi" here, watch complete national final here, SF1, SF2, SF3. Watch the final performance here, semifinal one here. РҐРµСЂР° Р‘СЊРѕСЂРє РўРѕСЂС…Р°Р»Р»СЊСЃРґРѕС‚С‚РёСЂ СЂРѕРґРёР»Р°СЃСЊ РІ Р�СЃР»Р°РЅРґРёРё 29РіРѕ РјР°СЂС‚Р° 1972 РіРѕРґР° Рё СЏРІР»СЏРµС‚СЃСЏ РґРѕСЃС‚Р°С‚РѕС‡РЅРѕ РёР·РІРµСЃС‚РЅРѕР№ РїРµРІРёС†РµР№ Сѓ СЃРµР±СЏ РЅР° СЂРѕРґРёРЅРµ. Р•Рµ РґРµР±СЋС‚РЅС‹Р№ Р°Р»СЊР±РѕРј Ilmur af Jolum СѓРІРёРґРµР» СЃРІРµС‚ РІ РЅРѕСЏР±СЂРµ 2000 РіРѕРґР° Рё РїРѕР»СѓС‡РёР» РІРµСЃСЊРјР° РїРѕР»РѕР¶РёС‚РµР»СЊРЅС‹Рµ РѕС‚Р·С‹РІС‹. Р“РѕР»РѕСЃ РҐРµСЂС‹ РёРјРµРµС‚ С€РёСЂРѕРєРёР№ РґРёР°РїР°Р·РѕРЅ Рё РѕРЅР° РїРѕРµС‚ РІ СЂР°Р·Р»РёС‡РЅС‹С… РјСѓР·С‹РєР°Р»СЊРЅС‹С… СЃС‚РёР»СЏС…: РєР»Р°СЃСЃРёРєСѓ, РґР¶Р°Р·, РїРѕРї, СЂРѕРє Рё r&b. Р’ 1995 РіРѕРґСѓ РѕРЅР° РёСЃРїРѕР»РЅРёР»Р° СЂРѕР»СЊ РІ The Rocky horror Picture Show Рё СЃ С‚РµС… РїРѕСЂ РїСЂРёРЅСЏР»Р° СѓС‡Р°СЃС‚РёРµ РІ СЂСЏРґРµ РїРѕСЃС‚Р°РЅРѕРІРѕРє РјСЋР·РёРєР»РѕРІ РІ Р�СЃР»Р°РЅРґРёРё. Р’ 1999-2000 РіРѕРґР°С… РѕРЅР° Р±С‹Р»Р° РІРµРґСѓС‰РµР№ РїРѕРїСѓР»СЏСЂРЅРѕРіРѕ С‚РµР»РµС€РѕСѓ "Stutt Г­ Spunann", РєРѕС‚РѕСЂРѕРµ С‚СЂР°РЅСЃР»РёСЂРѕРІР°Р»РѕСЃСЊ РїРѕ СЃСѓР±Р±РѕС‚Р°Рј РІ СЌС„РёСЂРµ RГљV, РЅР°С†РёРѕРЅР°Р»СЊРЅРѕРіРѕ С‚РµР»РµРІРёРґРµРЅРёСЏ Р�СЃР»Р°РЅРґРёРё. РЎ 1996 РїРѕ 2004 РіРѕРґС‹ РҐРµСЂР° Р‘СЊРѕСЂРє РїРµР»Р° РІ РєР°РјРµСЂРЅРѕРј С…РѕСЂРµ Schola Cantorum РІ РҐР°Р»Р»РіСЂРёРјСЃРєРёСЂРєРµ РІ Р РµР№РєСЊСЏРІРёРєРµ. Schola Cantorum Р·Р°РІРѕРµРІР°Р» СЂСЏРґ РЅР°РіСЂР°Рґ РЅР° РјРµР¶РґСѓРЅР°СЂРѕРґРЅС‹С… РєРѕРЅРєСѓСЂСЃР°С… Рё РІС‹РїСѓСЃС‚РёР» С‚СЂРё Р°Р»СЊР±РѕРјР°, РѕРґРёРЅ РёР· РєРѕС‚РѕСЂС‹С… Р±С‹Р» РЅРѕРјРёРЅРёСЂРѕРІР°РЅ РЅР° Р�СЃР»Р°РЅРґСЃРєСѓСЋ РјСѓР·С‹РєР°Р»СЊРЅСѓСЋ РїСЂРµРјРёСЋ РєР°Рє Р»СѓС‡С€РёР№ РљР»Р°СЃСЃРёС‡РµСЃРєРёР№ Р°Р»СЊР±РѕРј 2002 РіРѕРґР°. РҐРµСЂР° С‚Р°РєР¶Рµ СЂР°Р±РѕС‚Р°Р»Р° СЃРѕ РјРЅРѕРіРёРјРё РёР·РІРµСЃС‚РЅС‹РјРё РёСЃР»Р°РЅРґСЃРєРёРјРё РјСѓР·С‹РєР°РЅС‚Р°РјРё РЅР°Рґ С‚Р°РєРё РїСЂРѕРµРєС‚Р°РјРё РєР°Рє "Г“Г°in's Raven Magic" СЃ SIGURRГ“S Рё РїРѕСЃР»РµРґРЅРёРј Р°Р»СЊР±РѕРјРѕРј BJГ–RK "MedГєlla". Р’ 2000 РіРѕРґСѓ РҐРµСЂР° РїРµСЂРµРµС…Р°Р»Р° РІ РіРѕСЂРѕРґ РђРєСѓСЂРµР№СЂРё РЅР° СЃРµРІРµСЂРµ Р�СЃР»Р°РЅРґРёРё. РўР°Рј РѕРЅР° РёР·СѓС‡Р°Р»Р° Р±РёР·РЅРµСЃ Рё РјР°СЂРєРµС‚РёРЅРі РІ РјРµСЃС‚РЅРѕРј СѓРЅРёРІРµСЂСЃРёС‚РµС‚Рµ. РџРѕ РІС‹С…РѕРґРЅС‹Рј РѕРЅР° РѕС‚РїСЂР°РІР»СЏР»Р°СЃСЊ РІ Р РµР№РєСЊСЏРІРёРє, РіРґРµ РІС‹СЃС‚СѓРїР°Р»Р° РІ РіРѕСЂРѕРґСЃРєРѕРј С‚РµР°С‚СЂРµ Рё СЃ РіСЂСѓРїРїРѕР№ "17VГ©lar" РїРµР»Р° РІ РЅРѕС‡РЅС‹С… РєР»СѓР±Р°С…. Р’ 2004 РіРѕРґСѓ РҐРµСЂР° РїРѕР·РЅР°РєРѕРјРёР»Р°СЃСЊ СЃ РљР°С‚СЂРёРЅ РЎР°РґРѕР»РёРЅ, РґР°С‚СЃРєРёРј РїСЂРµРїРѕРґР°РІР°С‚РµР»РµРј РІРѕРєР°Р»СЊРЅРѕР№ С‚РµС…РЅРёРєРё. Р•Р№ РѕС‡РµРЅСЊ РїРѕРЅСЂР°РІРёР»Р°СЃСЊ РјРµС‚РѕРґРёРєР° РљР°С‚СЂРёРЅ Рё РѕРЅР° СЃС‚Р°Р»Р° Р±СЂР°С‚СЊ СѓСЂРѕРєРё. РҐРµСЂР° РїРµСЂРµРµС…Р°Р»Р° РІ РљРѕРїРµРЅРіР°РіРµРЅ Рё Р·Р°РЅРёРјР°Р»Р°СЃСЊ РІ РІРѕРєР°Р»СЊРЅРѕРј РёРЅСЃС‚РёС‚СѓС‚Рµ Complete СЃ СЏРЅРІР°СЂСЏ 2005 РїРѕ РёСЋРЅСЊ 2008 РіРѕРґР°. Р’Рѕ РІСЂРµРјСЏ РѕР±СѓС‡РµРЅРёСЏ РѕРЅР° РїСЂРѕРґРѕР»Р¶Р°Р»Р° СЃР°РјР° РїРµС‚СЊ Рё РґР°РІР°С‚СЊ СѓСЂРѕРєРё РІ Р�СЃР»Р°РЅРґРёРё Рё Р”Р°РЅРёРё. Р’ 2007 Рё 2008 РіРѕРґР°С… РҐРµСЂР° Р‘СЊРѕСЂРє Р±С‹Р»Р° СѓС‡Р°СЃС‚РЅРёС†РµР№ РїСЂРѕРµРєС‚Р° "Frostroses - Р�СЃР»Р°РЅСЃРґРєРёРµ Р”РёРІС‹". Р’РјРµСЃС‚Рµ СЃ РґСЂСѓРіРёРјРё РёР·РІРµСЃС‚РЅС‹РјРё РёСЃР»Р°РЅРґСЃРєРёРјРё РёСЃРїРѕР»РЅРёС‚РµР»СЊРЅРёС†Р°РјРё, РѕРЅР° РІС‹СЃС‚СѓРїР°Р»Р° РЅР° СЂРѕР¶РґРµСЃС‚РІРµРЅСЃРєРёС… РєРѕРЅС†РµСЂС‚Р°С… РїРѕ РІСЃРµР№ СЃС‚СЂР°РЅРµ, РєРѕС‚РѕСЂС‹Рµ РїСЂРѕС€Р»Рё СЃ РїРѕР»РЅС‹РјРё Р°РЅС€Р»Р°РіР°РјРё Рё Р·Р°РІРµСЂС€РёР»РёСЃСЊ РєРѕРЅС†РµСЂС‚РѕРј РІ Р РµР№РєСЊСЏРІРёРєРµ. РҐРµСЂР° Р‘СЊРѕСЂРє РїСЂРµРїРѕРґР°РµС‚ CVT РІ С‚РµС‡РµРЅРёРё С‚СЂРµС… Р»РµС‚ РІ Р�СЃР»Р°РЅРґРёРё Рё РґР°РµС‚ РјР°СЃС‚РµСЂ-РєР»Р°СЃСЃС‹ РїРѕ РІСЃРµР№ Р•РІСЂРѕРїРµ. Р’ РЅР°СЃС‚РѕСЏС‰РµРµ РІСЂРµРјСЏ РѕРЅР° РїСЂРѕР¶РёРІР°РµС‚ РІ РљРѕРїРµРЅРіР°РіРµРЅРµ. РҐРµСЂР° РїСЂРёРЅРёРјР°Р»Р° СѓС‡Р°СЃС‚РёРµ РІ Р�СЃР»Р°РЅРґСЃРєРѕРј РѕС‚Р±РѕСЂРµ 2007 РіРѕРґР° Рё Р”Р°С‚СЃРєРѕРј РѕС‚Р±РѕСЂРµ 2009 РіРѕРґР°, РіРґРµ Р·Р°РЅСЏР»Р° РІС‚РѕСЂРѕРµ РјРµСЃС‚Рѕ. РћРЅР° С‚Р°РєР¶Рµ Р±С‹Р»Р° Р±СЌРє-РІРѕРєР°Р»РёСЃС‚РєРѕР№ РІ РїРµСЃРЅСЏС… Р�СЃР»Р°РЅРґРёРё РЅР° Р•РІСЂРѕРІРёРґРµРЅРёРё 2008 Рё 2009. Р‘СЌРє-РІРѕРєР°Р»РёСЃС‚С‹: Erna HrГ¶nn, HeiГ°a Г“lafs, PГ©tur Г–rn & KristjГЎn GГ­sla. РЈСЃР»С‹С€Р°С‚СЊ РїРµСЃРЅСЋ "Je Ne Said Quoi" РІС‹ РјРѕР¶РµС‚Рµ Р·РґРµСЃСЊ, СѓРІРёРґРµС‚СЊ РїРѕР»РЅРѕСЃС‚СЊСЋ РЅР°С†РёРѕРЅР°Р»СЊРЅС‹Р№ С„РёРЅР°Р» - Р·РґРµСЃСЊ, РїС„1, РїС„2, РїС„3. Р’С‹СЃС‚СѓРїР»РµРЅРёРµ РЅР° С„РёРЅР°Р»Рµ РјРѕР¶РЅРѕ СѓРІРёРґРµС‚СЊ Р·РґРµСЃСЊ, РЅР° РїРѕР»СѓС„РёРЅР°Р»Рµ Р·РґРµСЃСЊ. 18/12 Icelandic Songvakeppni Sjonvarpsins will start on 9th January and as last year will be hosted by Eva Maria Jonsdottir and Ragnhildur Steinunn Jonsdottir. The procedure will be almost the same as well, except that there will be less entries. 15 entries (selected from 150 submissions) have been split into three semifinals on 9th, 16th and 23rd of January. Two songs as selected by televoting will qualify further. As usual, there will be two programs on the day - presentation of the songs and results announcement. On 30th of the January introduction to the final will be aired, while the national final itself will be held on 6th of February. Early favourites are Jogvan Hansen with song of 2009 songwriter Oskar Pall Sveinsson and popular artist Bubbi Morthens, Hera Bjork with song she wrote herself with Orlygur Smari (ESC 2000, 2008) and band Hvanndalsbraedur. You can find more information and listen weekly to participating songs on RUV website, also watch introduction videos on Youtube channel. Р�СЃР»Р°РЅРґСЃРєРёР№ РѕС‚Р±РѕСЂ Songvakeppni Sjonvarpsins РЅР°С‡РЅРµС‚СЃСЏ 9РіРѕ СЏРЅРІР°СЂСЏ Рё, РєР°Рє РІ РїСЂРѕС€Р»РѕРј РіРѕРґСѓ, РµРіРѕ РІРµРґСѓС‰РёРјРё СЃС‚Р°РЅСѓС‚ Eva Maria Jonsdottir and Ragnhildur Steinunn Jonsdottir. РџСЂРѕС†РµРґСѓСЂР° РѕС‚Р±РѕСЂР° РѕСЃС‚Р°Р»Р°СЃСЊ РїСЂР°РєС‚РёС‡РµСЃРєРё РёРґРµРЅС‚РёС‡РЅРѕР№, С…РѕС‚СЏ РєРѕР»РёС‡РµСЃС‚РІРѕ СѓС‡Р°СЃС‚РІСѓСЋС‰РёС… РїРµСЃРµРЅ Р±С‹Р»Рѕ РЅРµСЃРєРѕР»СЊРєРѕ СЃРѕРєСЂР°С‰РµРЅРѕ. 15 РїРµСЃРµРЅ (РѕС‚РѕР±СЂР°РЅРЅС‹Рµ РёР· 150 Р·Р°СЏРІРѕРє) Р±С‹Р»Рё СЂР°Р·РґРµР»РµРЅС‹ РЅР° 3 РїРѕР»СѓС„РёРЅР°Р»Р°, РєРѕС‚РѕСЂС‹Рµ РїСЂРѕР№РґСѓС‚ 9, 16 Рё 23 СЏРЅРІР°СЂСЏ. Р”РІРµ РїРµСЃРЅРё РїРѕ РІС‹Р±РѕСЂСѓ Р·СЂРёС‚РµР»РµР№ РїСЂРѕР№РґСѓС‚ РІ СЃР»РµРґСѓСЋС‰РёР№ СЌС‚Р°Рї. РљР°Рє РѕР±С‹С‡РЅРѕ, РІ РєР°Р¶РґС‹Р№ РёР· РґРЅРµР№ РІС‹Р№РґСѓС‚ РїРѕ РґРІРµ РїСЂРѕРіСЂР°РјРјС‹ - РїСЂРµР·РµРЅС‚Р°С†РёСЏ РїРµСЃРµРЅ Рё РѕР±СЉСЏРІР»РµРЅРёРµ СЂРµР·СѓР»СЊС‚Р°С‚РѕРІ. 30РіРѕ СЏРЅРІР°СЂСЏ РІ СЌС„РёСЂ РІС‹Р№РґРµС‚ РІРІРµРґРµРЅРёРµ Рє С„РёРЅР°Р»Сѓ, СЃР°Рј Р¶Рµ РЅР°С†РёРѕРЅР°Р»СЊРЅС‹Р№ С„РёРЅР°Р» Р·Р°РїР»Р°РЅРёСЂРѕРІР°РЅ РЅР° 6 С„РµРІСЂР°Р»СЏ. РЎСЂРµРґРё С„Р°РІРѕСЂРёС‚РѕРІ: Jogvan Hansen СЃ РїРµСЃРЅРµР№ РѕС‚ Р°РІС‚РѕСЂР° РїРµСЃРЅРё 2009 РіРѕРґР° Oskar Pall Sveisson Рё РїРѕРїСѓР»СЏСЂРЅРѕРіРѕ Р°СЂС‚РёСЃС‚Р° Bubbi Morthens, Hera Bjork СЃ РїРµСЃРЅРµР№, РєРѕС‚РѕСЂСѓСЋ РѕРЅР° РЅР°РїРёСЃР°Р»Р° СЃР°РјР° РІ СЃРѕС‚СЂСѓРґРЅРёС‡РµСЃС‚РІРµ СЃ Orlygur Smari (Р•РІСЂРѕРІРёРґРµРЅРёРµ 2000, 2008) Рё РіСЂСѓРїРїР° Hvanndalsbraedur. РџРѕР»СѓС‡РёС‚СЊ РґРѕРїРѕР»РЅРёС‚РµР»СЊРЅСѓСЋ РёРЅС„РѕСЂРјР°С†РёСЋ Рё РїСЂРѕСЃР»СѓС€Р°С‚СЊ РµР¶РµРЅРµРґРµР»СЊРЅРѕ РґРѕР±Р°РІР»СЏРµРјС‹Рµ РїРµСЃРЅРё РІС‹ РјРѕР¶РµС‚Рµ РЅР° СЃР°Р№С‚Рµ RUV, С‚Р°РєР¶Рµ РїРѕСЃРјРѕС‚СЂРµС‚СЊ РІРёРґРµРѕ РЅР° РєР°РЅР°Р»Рµ Youtube.